Hi Guys I am new to this forum, currently living in South Essex. I have just bought an XR having test ridden several. 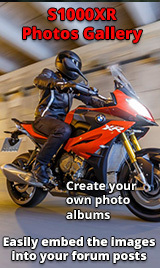 Recent bikes have included the BMW R1200RS, Ducati Multistrada, Ducati Diavel and a Triumph Tiger 1050. I am hoping to pick your brains and steal some of your experience LOL. Welcome, ask away, I'm sure you will get all the answers to your questions.